Download the Harley-fried version of live show favorite, I've Just Seen a Face. This is from a living-room practice, in mono, just like the original. 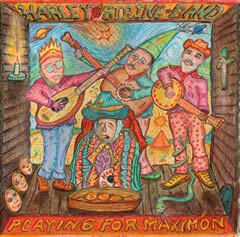 In 2009, HSB visited and played for the Mayan God, Maximón, as commemorated in this illstration by Rodney Parsons. Read all about it on the Travels page. 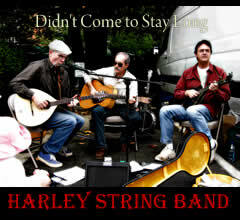 Didn't Come to Stay Long, the Harley String Band's first "grownup album" is still available, featuring their trademark songs of sin and misery. Surprise! 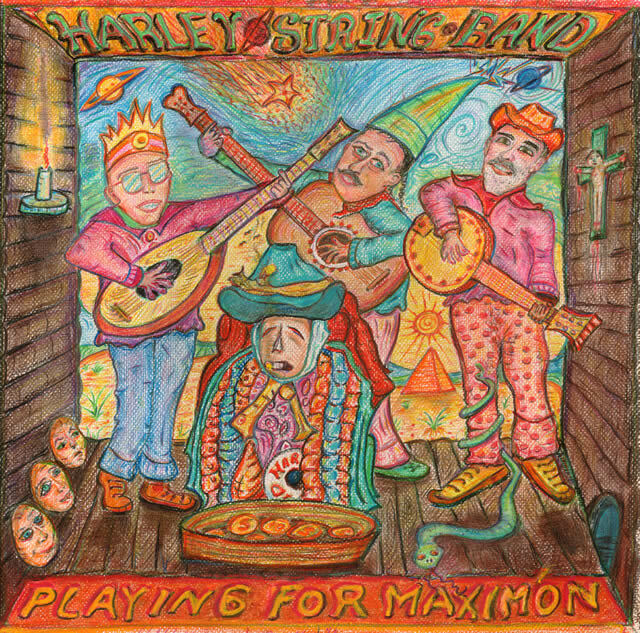 The band's first CD is a children's album. 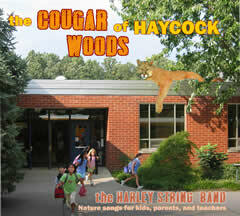 Subtitled "Nature songs for kids, parents, and teachers," the Cougar of Haycock Woods celebrates outdoor learning and nature's power to inspire. Out Now! Listen. Read the Lyrics. Download. 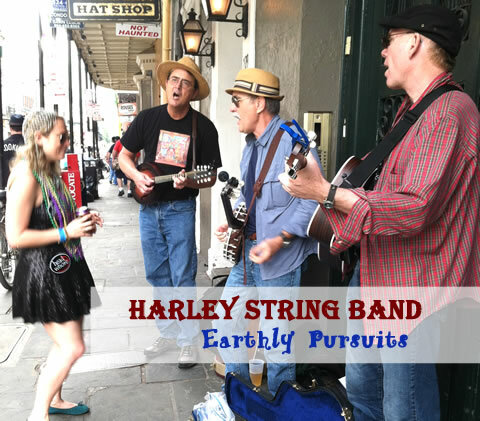 The Harley String Band anchors performances of the Rain Follows the Plow project.